Chairman Council of Governor Josephat Nanok with Nairobi County Executive Health Service Hitan Majevdia during the signing of the Clinical officers recognition agreement at the COG offices Westlands on Tuesday 19th 2017. Counties owe the Kenya Medical Supply Authority Sh2.6 billion. Documents obtained exclusively by the Star show the amount has accrued for many months. The bill for the past 90 days alone is Sh1.8 billion. The debt has hurt services at Kemsa and the counties are unable to provide proper health services to millions of people. Some are forced to buy drugs and supplies from private chemists. Theft and resale is considered part of the problem. Nairobi leads with Sh285 million, followed by Nakuru at Sh147 million, Homa Bay (Sh124 million), Turkana Sh119 million and Narok Sh104 million. The others are Meru (Sh87 million), Kisii (Sh75 million), Uasin Gishu (Sh74 million) and Murang’a (Sh61 million). Mombasa owes the least at Sh6 million. Kemsa is a state corporation under the Health ministry established under the Kemsa Act 2013. Its mandate is to procure, warehouse and distribute drugs and medical supplies for prescribed public health programmes, the national strategic stock reserve, prescribed essential health packages and national referral hospitals. Traditionally, Kemsa supplies medicine and equipment to public hospitals before it sends an invoice for payments. The long standoff between the governors and the national executive disrupted activities after the Jubilee administration withheld county allocations. The worst-hit services include health, education, disaster management and public works. The last time the counties received money from the Treasury was in July, when the 2016-17 financial year ended. But President Uhuru Kenyatta has promised to fast-track the process. Most counties are cash-poor. “County governments continue to incur costs when they borrow from commercial banks to pay salaries,” Council of Governors chairman Josephat Nanok protested in a letter to Treasury CS Henry Rotich in mid-year. He urged the government to tackle looming problems “to avert the situation where they escalate to the level we are witnessing”. 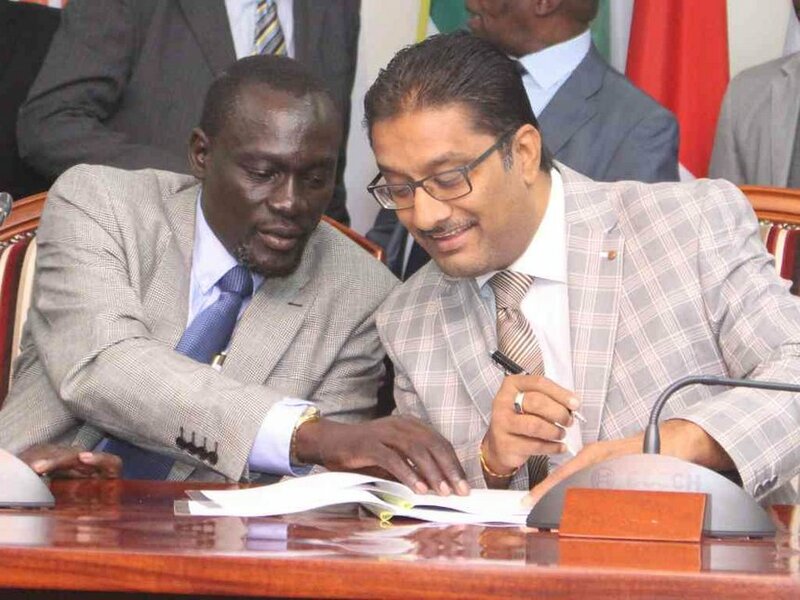 Nanok said that legally, the National Treasury is under obligation to release all funds accrued for the past four months to the county governments.